Talk all you want about Wansapanataym here. In the ‘I’ll Be Home for Christmas’ episode, Sam will portray the role of Carl, a young man who wants to forget the memories of his family. Because of his bitterness over his past, Carl has decided to sell the house that he inherited from his parents as tries to turn his back on them. Will Carl finally learn to forgive and open his heart once again when several strangers make him realize the importance of family? Together with Sam in the ‘I’ll Be Home for Christmas’ episode are Empress, Kathleen Hermosa, Alex Castro, Joonee Gamboa, JM Briones, Nathaniel Britt, Annica Tindoy, Susan Campos, and Giovannie Baldesseri. It was written by Noreen Capili, and directed by Malu Sevilla. ’t miss the Christmas special of CMMA Best Children and Youth Program, “Wansapanataym” this Saturday, after “Kapamilya: Deal or No Deal” on ABS-CBN. 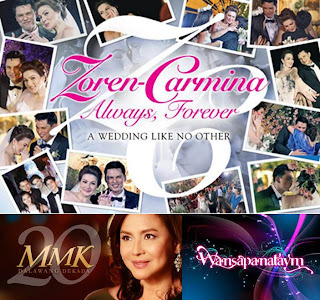 For more updates log-on to www.abs-cbn.com, follow @abscbndotcom on Twitter. 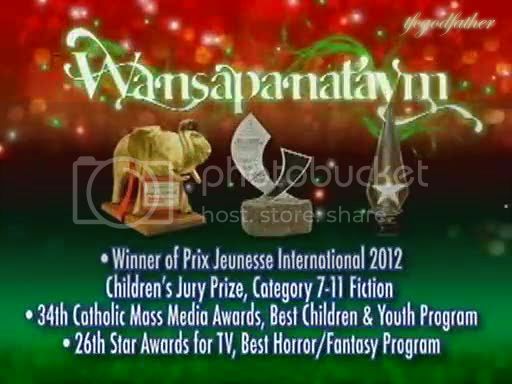 After being hailed as the Best Children and Youth Program in the 34th Catholic Mass Media Awards (CMMA) last September, ABS-CBN’s top-rating fantasy-drama anthology “Wansapanataym” continues its winning streak as it recently bagged the Best Fantasy Program award in the 26th PMPC Star Awards for TV. To show its appreciation to its loyal viewers, “Wansapanataym” will once again share a lesson-filled story this Saturday (November 24) in its third Christmas special topbilled by Kapamilya actress Erich Gonzales. In an episode titled ‘Jingle’s Bell,’ Erich will portray the role of Jingle, a young woman who always wants to be ahead of others. Because of her eagerness to earn more, Jingle disobeys her father’s principle and enters the business of selling smuggled Christmas decorations. In the end, will Jingle finally learn the consequences of being greedy with money when she puts her family’s life at risk? 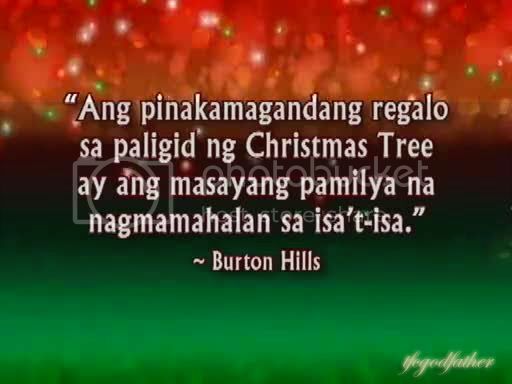 Together with Erich in the ‘Jingle’s Bell’ episode are Susan Africa, Bembol Roco, Wilma Doesnt, Clarence Delgado, and Jairus Aquino. It was written by Raymund Dianzon, and directed by Jerome Pobocan. In an episode titled ‘Perfect Gift,’ Carmina will give life to the role of Joanna, a woman who did not experience a beautiful childhood. Because of her parents’ shortcomings when she was still young, Joanna did everything while growing up so she can to give everything that her son asks for. Despite of the expensive toys and clothes that she has provided, will Joanna realize the greater importance of giving time for her own son? Together with Carmina in the ‘Perfect Gift’ episode Jeffrey Santos, Carlos Agassi, Yogo Singh, Janica Pareño, Harvy Bautista, and Dexie Daulat. It was written by Mariami Tanangco-Domingo and directed by Tots Sanchez-Mariscal. Don’t miss the Christmas special of PMPC Best Fantasy Program, “Wansapanataym” this Saturday, after “Kapamilya: Deal or No Deal” on ABS-CBN. For more updates log-on to www.abs-cbn.com, follow @abscbndotcom on Twitter. Sana Ibalik ang dati nitong theme song.